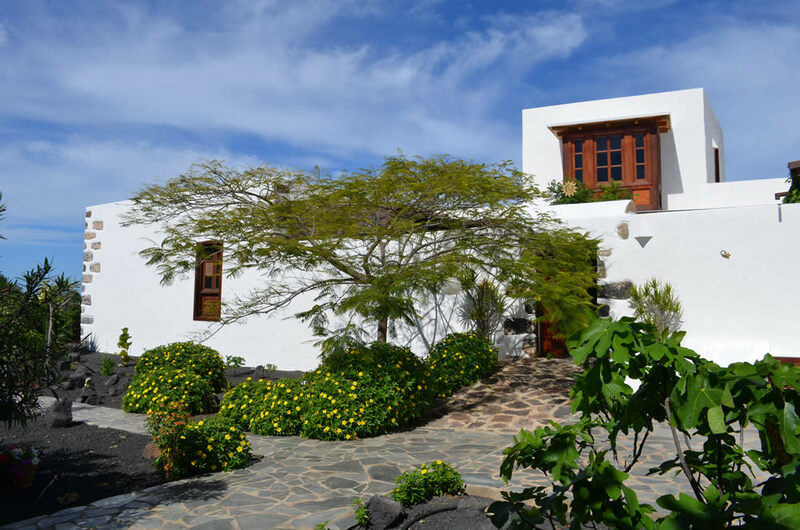 Ecology | El Inti – Guesthouse Lanzarote. Holiday accommodation. 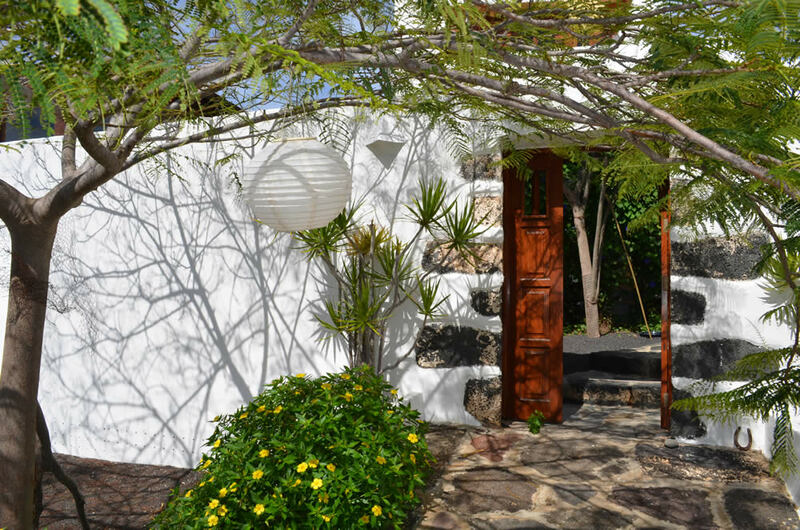 El Inti - Guesthouse Lanzarote. Holiday accommodation. The old lava stone walls have been retained as far as possible and carefully restored. 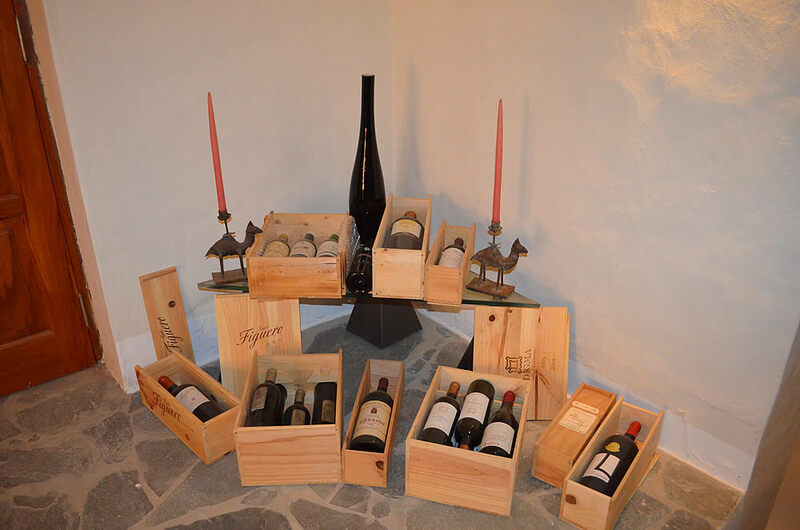 The result is a very good indoor climate and air conditioning can be dispensed with. Facades and rooms were – and are – painted with silicate paint and whitewash. All the wood (larch) used on structural parts, was felled according to the phases of the moon in line with ancient methods of preserving timber, and imported to Lanzarote. All floors except kitchen, toilets and bibliary are made from natural stone. The hot water is produced by solar panels. The pool is also heated by its own solar heating system. We clean the swimming pool with active oxygen. Chlorine is never used. Drinking water is filtered using carbon-block filters. There is no need to buy plastic water bottles, the norm on Lanzarote, thereby avoiding pollution to the environment. Used water is purified by a biological sewage treatment plant and is then used to irrigate the lush gardens. 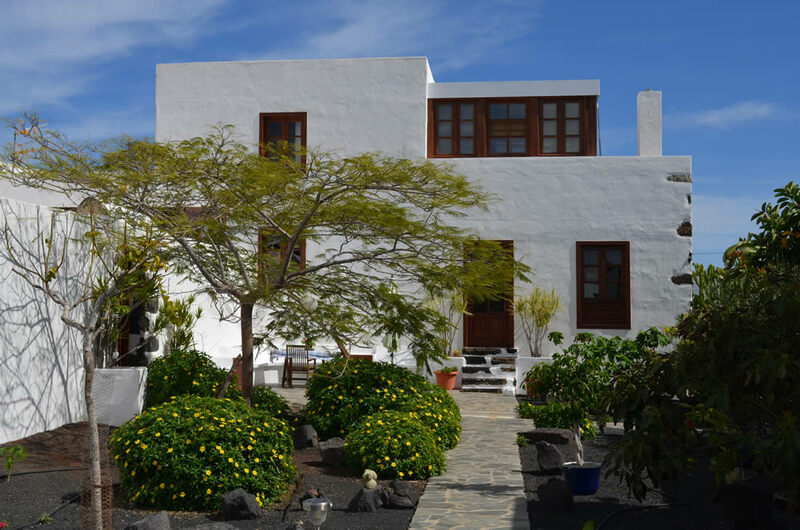 © 2019 El Inti - Guesthouse Lanzarote. Holiday accommodation.